Livorno's new shopping district, which was completed in 2015 in record time of just a year and a half, is the third largest commercial pole in Tuscany. The plot includes three buildings: the “Parco commerciale Levante” shopping centre spanning a gross surface area of 27,000 m2, of which 5,000 of arcade alone, 24,000 on the ground floor and 3,000 on the first floor, juxtaposed and concurrently in styling continuity with the other two commercial buildings, one being Decathlon and the other Obi. 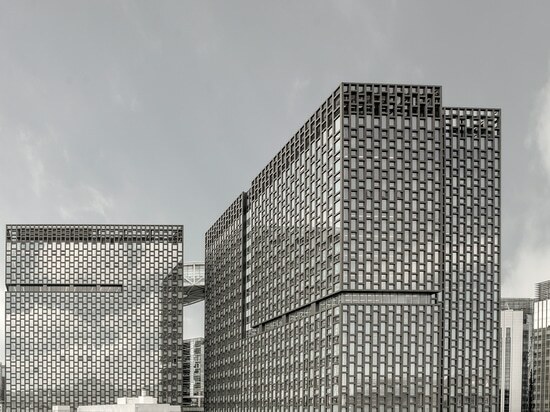 The three buildings are separate, but they are also adjoining thanks to a shared styling shape and to the continuity of the material used: ceramic applied in the form of large minimum-thickness slabs. The architectural project for the Parco Levante that develops all around the shopping arcade is extremely interesting, in a long curved eye-shaped path to facilitate orientation and allow visitors to see all the shop windows overlooking the path itself. 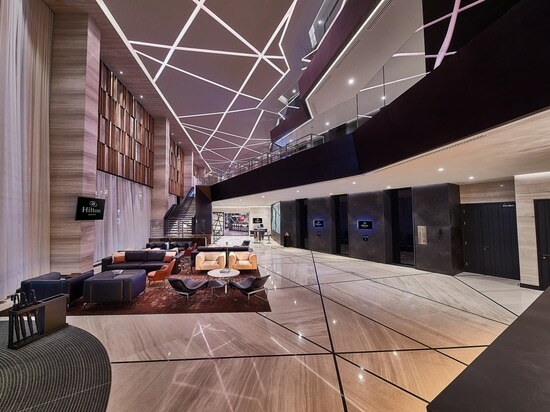 The Parco Levante stands out for its brightness, obtained from natural light that floods in through the large windows on the ground floor, its painstaking care for details and its major focus on energy savings, thanks also to the use of renewable resources. Caring for the environment is proven concretely in the choice of materials too, in particular the material applied to cover the ventilated façade of all three commercial buildings: the porcelain stoneware of the large-size, minimum-thickness Laminam slabs installed on metal superstructures through mechanical attachment. 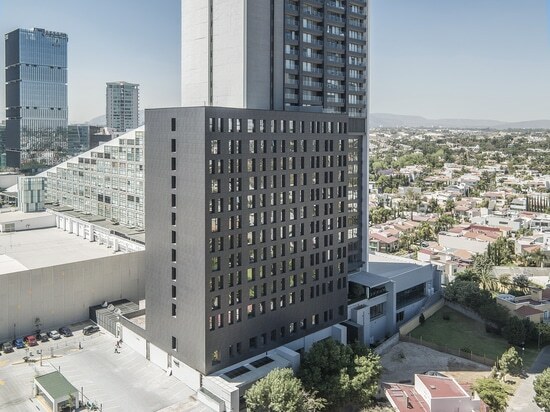 A single, versatile material that is highly resistant to scratches, to frost and to UV rays, harmonising the appearance of three different buildings, joining them together yet concurrently distinguishing them thanks to the different colours used. 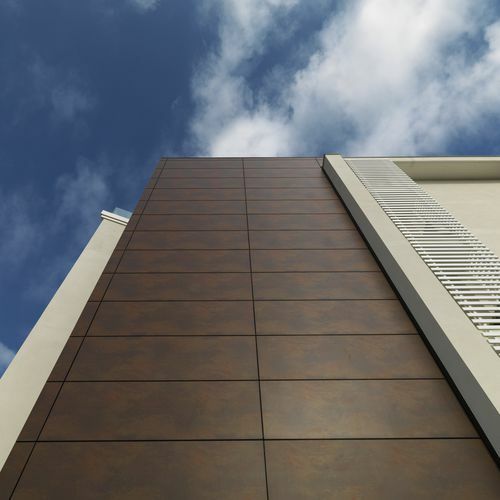 For the three façades, a single Laminam series was used, since it was able to combine its essence of material pureness with an almost industrial texture with an iridescent effect; Oxide, applied in almost the entire colour range available. 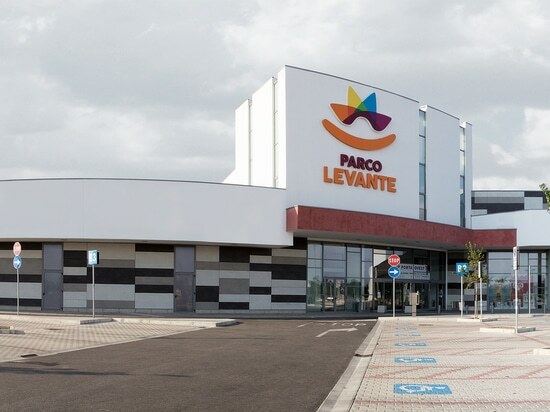 Specifically, the Parco Commerciale Levante shopping centre is a game of combinations between Oxide Perla, Oxide Grigio and Oxide Nero, Decathlon teams Oxide Bianco with Oxide Perla and Obi, lastly, accompanies its institutional orange colour with slabs of Oxide Perla and Oxide Grigio. 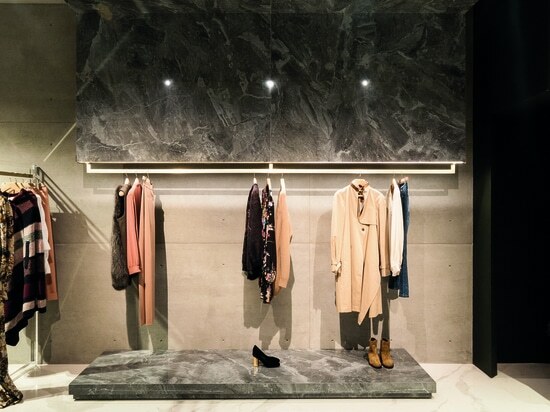 Devised to embellish settings with character, through an exclusive stratification technology, Oxide reproduces the effect of oxidised metal reacting to the weather, the sun and the passing of time.